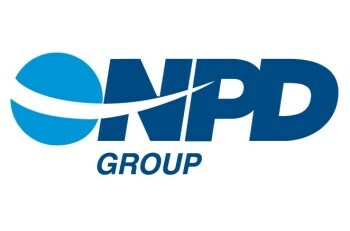 NPD Group is working with nine prominent publishers to develop a reliable method to track digital game sales. Digital distribution is changing the way consumers spend money. With often cheaper digital options, many consumers have abandoned physical versions of movies and music wholelsale and, as time goes on, the decline of physical products has been making its way into the videogame industry. Driven by services like Steam, many gamers are becoming more and more attuned to the convenience of digital products. This, in turn, is a development that studios and publishers are happily supporting thanks to the decreased expenses of digital versus the many costs of producing a physical product. An ongoing problem, however, has been the lack of a convenient way to track digital sales. While NPD is able to pin down overall consumer spending on videogames, it still struggles to provide exact figures for digital products. Soon, however, that may no longer be the case. "We fully realize that the market needs the same level of information for the digital categories as exists for the physical business today: SKU-level POS. The progress on that effort up until recently has been slow and frustrating at times, but today I am very happy to share that the pace of progress has changed recently," said David McQuillan, president of NPD's Games group. "NPD has formed a leader panel to track digital POS sales of full game and add-on content downloads. It is an important and critical step toward that goal. Leader panels are often formed as a precursor to a formal launch of a POS tracking service." According to McQuillan, NPD is currently working with nine leading game publishers to help develop a method to better track digital distribution. The emerging system, however, will be different in some ways from the services tracking retail sales. Whereas NPD's focus on the physical games front is North America, its view of digital sales will be global. "Global coverage in this area is extremely important to our clients, and it is a necessary element of the solution that we are working to provide." Though NPD currently isn't able to confirm when it will start integrating digital sales into its regular reports, it hopes to have its digital tracking services up and running in the near future.